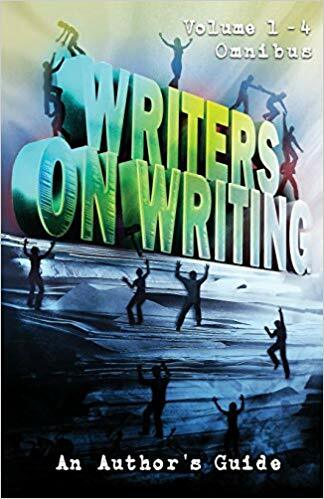 Success in writing is something we all aspire to and when we achieve it, we want to celebrate and make that elusive golden moment last longer but … writers are their own worst enemies. When rejection appears, hot on the heels of success, what do we do? We dwell on failure and allow the success to fade into the background, tell ourselves we’re not good enough, nurse the embers of self-doubt back into a roaring fire. We need to get past this and make those golden moments last a little longer, and TWF can help you do that. Let me know of your successes, drop me a line about a shortlist, a win, a publication, even a wonderful rejection or taking the plunge in a new writing venture and I’ll include it in the editorial. Send in a photo as well if you have one. TWF has become a great little community and I’d like to celebrate that more in these pages. I’d like to request some drabbles for those who don’t usually contribute. We’ve got a stockpile of our regulars at the moment (and try to only do one per author per month) and would like to expand what is available if possible. Thanks all! “Used Tombstone for sale.” The ad drew her eye. “Here read this Luke.” Roxy’s red painted fingernail jabbed at the newspaper. Luke was busy feeding the seagulls, “Big buggers these gulls,” he muttered. It was the third day of their mini holiday to Bridlington. Luke couldn’t wait to get home. His Roxy had done nothing but sulk, moan and eat since they’d arrived. Why couldn’t she just enjoy herself? He watched her forcing more chips between her pink glossy lips. Luke eye balled the nearest gull who losing the staring match, flew away. Around them couples huddled under umbrellas, swaddled in macs and plastic rain hats. The tinny sounds of the arcade blared out but no one was on the rides. Roxy was dialling her mobile, eyes narrowed, chin stuck out. Luke recognised the look. He sighed. She’d put on her posh phone voice, he noticed. She rang off and turned beaming to face Luke. “It’ s a bargain at a fiver. Said to come straight over.” She stood up thrusting the chip wrappings aside. Roxy was teetering along the pier in her high heels, her mac clinging to her. Behind her something thin and grey slithered. Luke blinked hard. It’s just the dirty rain water running down the drains, he thought. They took half an hour to find 15 Havelock Street. It was a thin sliver of a house tucked away in a nest of others, which looked derelict but a faint light shone in an upstairs window. “Hardly ‘Ideal Home’ material,” Luke joked. Roxy ignored him and knocked on the front door. She’d barely spoken on the walk over. The door opened a crack; one eye and a portion of cheek appeared. One was bloodshot, the other grey and dirty. “Show us the fiver.” A bony hand wriggled through the gap. Roxy flashed the fiver but held it too far away from the grasping fingers. Luke didn’t want to go in. His gut feeling told him no. Roxy stepped forward and he had to follow her. Even if she could be a moody mare he loved her. “It’s in here.” The woman was wizened, scrawny and unkempt. She pushed open the door to the front room and propped against the dead icy fireplace was the grey granite tombstone of the newspaper ad; the room’s sole item, in a space bereft of any furniture or decoration. There were marks scratched on the stone, but worn and illegible. Roxy stood transfixed, staring wide eyed at the stone. She walked across the grimy lino to touch the granite with gentle probing fingers, whispering under her breath and shaking her head. Luke didn’t know what was wrong with her. “It’s a good un,” announced the lady of the house. “We’ll take it,” Roxy stated firmly. Luke couldn’t believe what he’d just heard. “Well very, very carefully and with respect.” Roxy replied. She didn’t have a smile on her face either. Her eyes looked shiny too. Upstairs something thudded or landed on the bare boards. No carpets in this house. The old woman jerked her head upwards. She looked rattled, Luke thought, Why? The sounds grew louder and more forceful. Luke realised something or someone was dragging themselves across the room. Stop, thud, shuffle, slither. Stop, thud, shuffle. “Shouldn’t you go and help them?” he asked. Luke bent and did as Roxy said. The tombstone was not as heavy as he’d guestimated but still heavy enough. He felt his lower lumbar crack. A low moaning cry could be heard coming from upstairs. When they lifted the tombstone, a flurry of bugs scurried from underneath, fleeing for the dark corners. Luke nearly dropped the stone when he spotted them. “Um Mrs – er are you sure they’re OK upstairs?” He nodded to the ceiling. The woman turned her tiny monkey face towards him and he shuddered at her toothless gape. Hadn’t she been to an NHS dentist in her life? Roxy was labouring as he’d never seen before, edging along the narrow hallway, sweating whilst heading for the doorway. Luke wanted to rest and peek up the stairs. He sensed a presence on the top landing and now could hear a wheezing hiss, like a balloon deflating. Above them came a thump, a rustle and the sound of a foot hitting the top wooden stair board. “Nearly there. Hurry!” The old woman urged them on. Roxy reversed out the open front door, chipping the woodwork but keeping her grip on the stone’s edges. Whatever was descending the stairs was halfway down. Luke could smell fresh earth as if the garden had been dug. Confused he looked down at the stone paving flags in the front yard. No sign of digging there. The old woman pushed them on like they were horses. As soon as his heel was over the threshold she slammed the door on him. While he paused for breath, he heard the sound of finger nails raking the wooden door before an eldritch screech pealed out. He shuddered. Luke and Roxy slumped on the pavement gasping, both shiny with sweat. They cuddled the tombstone between them like a granite baby they wanted to adopt. “Wonderful holiday this is turning into!” Luke couldn’t help himself. Luke followed her pointing finger. He didn’t understand what she meant. He made out only scrawls and faint markings where years ago letters had been. Roxy shook her head, her make-up had rubbed away. She looked both younger and older in the street lighting. Luke felt his stomach flip flop with love. They stared at each other, confused and anxious. Behind their backs the house stood silent and seemingly uninhabited. Neither of them wanted to knock and ask the old crone for answers. “Are you sure Roxy?” Luke didn’t know what to say. Roxy began to cry. They sat huddled holding hands, encased in their own thoughts. Luke kept remembering the sound of stumbling feet and the smell of fresh earth. Who had been upstairs? Or what? “What do you mean?” Roxy looked shattered, her skin waxy and stretched thin. She’s just tired. Luke thought. “We need a churchyard so we can hide it amongst the other graves.” He Googled the nearest church on his iPhone. The trip to St James’ was long and tiring. They part carried, part dragged the stone, making numerous rest stops. The tiny church had a lovely location, near a local school and open fields. Between them they manhandled the tombstone through the long grass and wedged it face down in a corner, leaving it lying on its own. Isolated. Roxy was on the point of collapse; her nails chipped and broken, her tights laddered and she was limping. Luke held her up on the walk back and hauled her into bed in the chintzy room at the B&B just before dawn. He half noticed a thin grey shape slither through the doorway after them, reminding Luke of the greyhounds his Dad betted on, but tiredness won. He let sleep smother him. Hours later when he woke, the clock said 2pm and the rain was jack hammering the streets of Bridlington. He stretched and kicked out, every ache in his joints reminding him of the physical labour he’d done. Roxy was a hump under the flowery duvet. He stretched out his hand but froze in mid gesture. He felt a chill coming from her body. Tugging off the duvet he found her lying on her side. Her skin blanched to the colour of candle wax and a grey caulk cradled her body. His screams brought the landlady to his door. The holiday was officially finished. They’d told Jill to be careful. Working as a biologist in the Amazon could be dangerous. Not to worry, she said. Then, a fruit bat nicked her skin but these were harmless. Now though, she wasn’t so sure. After two months, she returned to England. She didn’t know why but didn’t like being here anymore. Her husband bothered her, irritated her. She was always thirsty, but water tasted horrible. People were horrible. She wanted to hit, kick, bite them. It was when her husband suggested a doctor, that she began foaming at the mouth, screamed, then lunged for his throat. Justin Boote is an English ex-pat in Barcelona, Spain for over 20 years, working as a stressed waiter in a busy centrical restaurant, which does at least provide ideas for stories! All my stories are horror/suspense/supernatural based, trying to combine the influences of King/Barker and James Herbert. To date I have several stories in various publications, and contribute regularly to Deadlights magazine, a wonderful e-zine and paperback publisher. When not thinking of disturbing ways to avenge nasty clients at work, or writing, you can find me asleep, or at [email protected]. The door to the cellar was unlocked. It was never unlocked. Never. I stood, uncertain. That door always tempted me, but now? I opened it. Stairs disappeared into darkness. No switch visible. I took a torch from the drawer and went down the stairs. In its beam, the cellar was boringly normal: cardboard boxes, crates, old chairs. Boring! Then, the torch flickered, died. Plunging me into darkness. But, I could see the rectangle of light at the top of the stairs. I ran for it. The door slammed. I reached it. Tried it. The door to the cellar was locked. Irae came from the orphanage with two gifts. Most adoptions don’t have much more than clothes, but their newest addition brought a book and a trunk. She knew how this would end. She tracked the days, marked oddities, took note of when loving smiles became frowns. When compliments became jabs. When the father bought a gun. When the son used it. Eight days. One day, she’d find a family that wouldn’t go mad from her presence. One free from evil. She wrote a note: Free to a good home, put it on her trunk, climbed inside, and shut the lid. They gobble and wobble as they walk through the wood. You may love the taste but they are up to no good. We claim to devour them just for sandwiches or Thanksgiving. But we have to slay them for humanity to continue living. You think that they’re dumb and can drown in the rain. But their true origins would drive anyone insane. Experiments by demonic beings who visited the Earth. A failed attempt at evil to which they gave birth. If we let them, the turkeys would grow and eradicate us all. Each nation no matter how great or small.